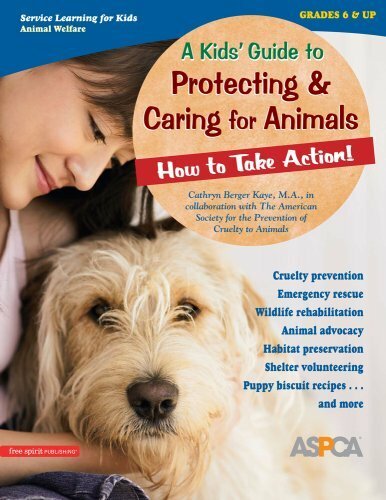 A Kids' Guide to Protecting & Caring for Animals: How to Take Action! Kids learn about animal welfare around the world, including cruelty prevention, emergency rescue, wildlife rehabilitation, animal advocacy, habitat preservation, and shelter volunteering. They explore ways to address the needs of animals�"both domestic and wild, read what others (including young people) have done and are doing to help, find out what their community needs, and develop a service project. Includes facts, quotations, real-life examples, write-on pages, resources, a note to adults�"and a lot of inspiration to get out there and make a difference in the world. 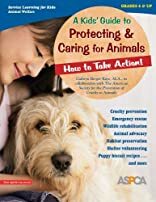 This hands-on student workbook was created in collaboration with the ASPCA and can be used as a stand-alone or in conjunction with The Complete Guide to Service Learning. Part of an ongoing series that includes A Kids’ Guide to Hunger & Homelessness and A Kids’ Guide to Helping Others Read & Succeed.